Auto Sport Driving | Mac App Storeのアプリ検索・ランキング BuzzMac! 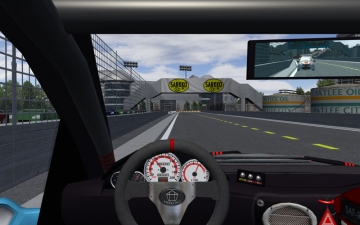 Auto Sport Driving is a casual racing sim designed specifically for OS X. 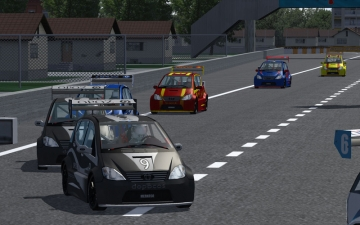 Realistic car physics and AI based on the VGP3 engine create a game that is easy to pick up and play, but difficult enough to keep you on your toes. 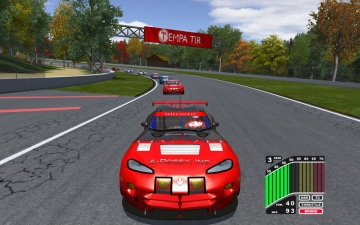 Steering wheel and gamepad support help to create more immersive gameplay along with built in 3D support through anaglyph and anachrome technology. Compete for bragging rights online with online lobby server support too. Four racing series and six tracks (with an extra track layout making seven) with updates always in the works to add more content to this ambitious indie game. Do you have what it takes to master this game? The game received very favorable reviews from players and Mac Game journalists alike such as insidemacgames.com and Analyze Mac. If you have any problem with the game, please email me first. I will help you in any way that I can. The game is very customizable and should suit any type of player. Even the keyboard sensitivity can be tweaked! I can help you get the most out of your new Mac Racing Sim! "I was not expecting this level of quality for $15." Dave B. "The game is already great and sets a very high standard." Matt W.
- More racing series cars! 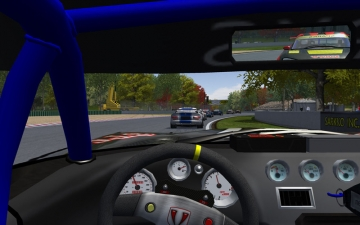 We want to create a racing series that all Mac racers can be proud of. Please let us know what we can do to make this series better! I have received hundreds of emails about the game, tech support and just general comments and I have been very happy to help everyone who needs it. This is my passion and I want those who purchase the game to be happy with their purchase.